Rolling Out the Wagon: Precision Products Garden Cart. $84.99 with free shipping; cartsonthego.com. Our man in Europe, veteran horticulturist Mike Alexander, learns just how valuable these wheeled transports are in the garden. A few weeks ago I was in the process of moving a large pile of compost to a section lower down on the estate. When my wheelbarrow, rather untypically, got a flat tire I didn’t think much of it and decided to carry the compost in two large trugs (large produce baskets). Considering the trip was not that far and compost not so heavy anyway, just how difficult could it be? The first few trips went relatively well, but then problems began to develop. For some reason that I still don’t fully understand, my knees, which have gotten along well together for years suddenly entered into a dispute and refused to go in the same direction. This meant I developed an alarming wobble, particularly on the downhill run when the trugs were full. A half hour later with the pile of compost still as large as it was when I started, I was beginning to look like I was auditioning for the lead role in a remake of a Charlie Chaplin film. It was then, amidst my shattered illusions of masculinity, that I realized just how much we take the simple wheelbarrow for granted. As a child, my daughter loved to be pushed around the garden in my wheelbarrow but I had never considered this would lend that certain little something to my marriage. When I questioned my wife on the matter she considered it for a moment or two before deciding that she would far rather I pulled her around town in a rickshaw. The wheelbarrow made its European debut in the 4th century, when Roman emperor Elagabulus was recorded using one to wheeling women about his court in frivolous games. 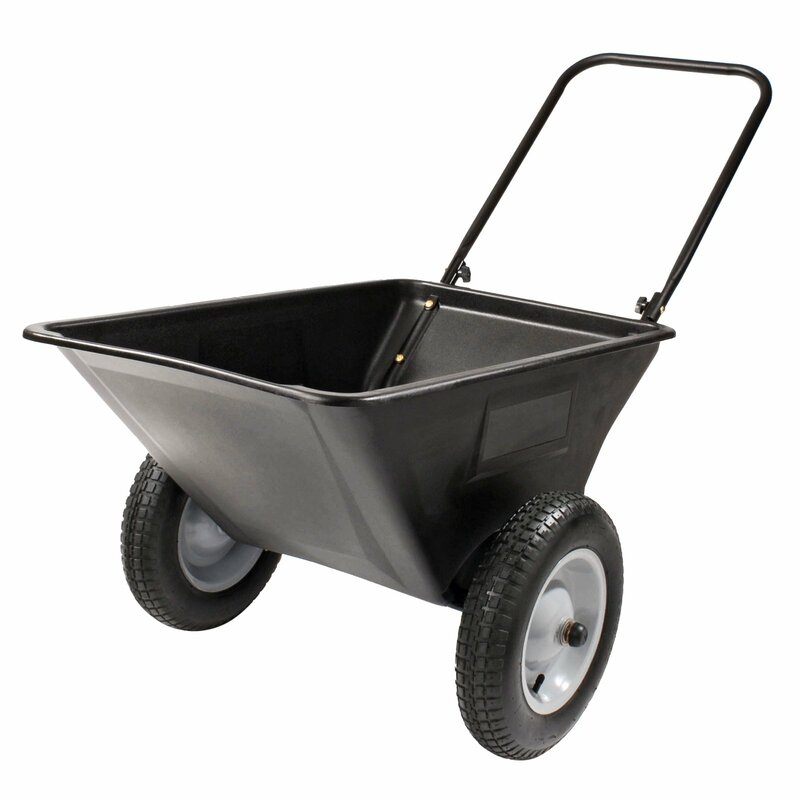 After a brief mention in the history of Rome, the wheelbarrow was next heard of in in the 15th century, when European historians reported first reported its use on building sites. It remained a rarity, however, and its only documented use was i in France, Holland and England. When Dutch explorers first visited China in 1797 they were amazed to find the Chinese attaching sails to their barrows much like those on junk sailing ships. These could be controlled with sheets and stays to utilize any available wind. Some of these sailing barrows were still used as late as 1965. Today the wheel barrow can be found in just about every part of the world to move heavy objects from point A to B. Despite its simplicity, it remains one of the most efficient machines ever invented. This entry was posted in Garden Tools, Uncategorized and tagged garden, garden cart, garden tools, gardener, gardening, Mike Alexander, wheel barrow, wheelbarrow, yard cart. Bookmark the permalink. I couldn’t live without my wheelbarrow in the garden! I need to upgrade to that 2 wheel style….less wobbly!! !